Home > Mother's Day Dinners! > Maine Lobster Shore Dinners! > Live Maine Lobster "Shore Dinner" for Four! 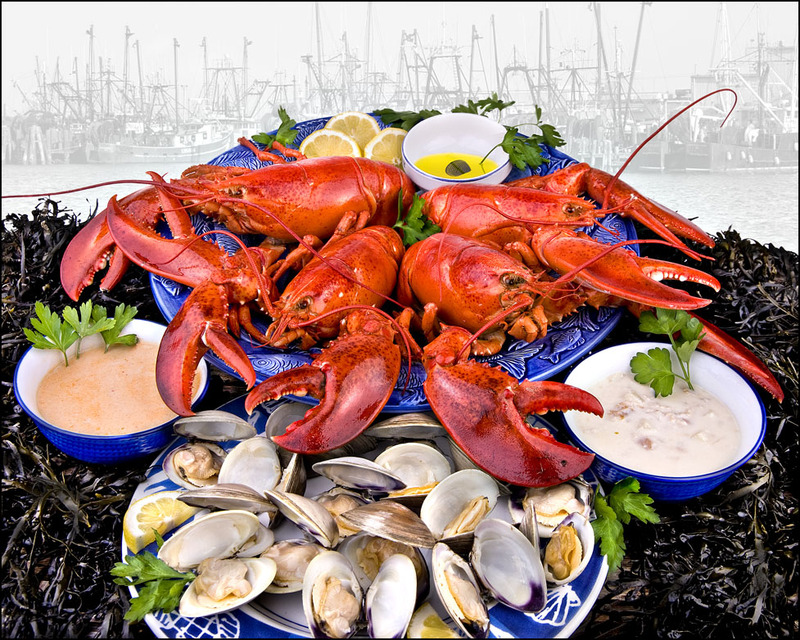 Complete with Four 1 1/4 pound Live Maine Lobsters, Award Winning Clam Chowder,Superb Lobster Bisque & Fresh Littleneck Clams! This Is New England Dining At Its Finest!! Lobsters & Chowder! • Maine Shore Dinners! Two quarts of fresh Littleneck Clams! A Great Gift Idea: for the Holidays, Anniversaries, Birthdays, or just a great "Thank You"! I sent 4 two pound lobsters, chowder, oysters, and scallops to special friends in Vermont to celebrate a birthday. They arrived as scheduled and my friends said they were the best lobsters they have had in many years and that the New England Clam Chowder was the best they had ever had! They also enjoyed the oysters. One lobster was left over as well as the scallops which they will enjoy this week. Thank you for providing such delicious food and great service. We got four 2-2 1/2 lb. Lobsters with a couple dozen clams and muscles. Everything is cooked up and ready for bisques, cocktails, and salads. Plus we ate dinner. As much as I have always liked seafood since I moved to the desert I crave it all the time. I like Captain Tim, The REAL Lobster Guy. Got a wonderful surprise from my husband today.... live Maine lobsters direct from the Lobster Guy straight to middle Georgia! They were fantastic!! Thanks!